The first ever 'Purge Night'. The underwhelming box-office performance and critical/fan reception of Solo: A Star Wars Story has prompted much debate about the value of prequels. It's generally agreed that prequels are pointless, and they rarely add any worthwhile extra layers to the original drama. 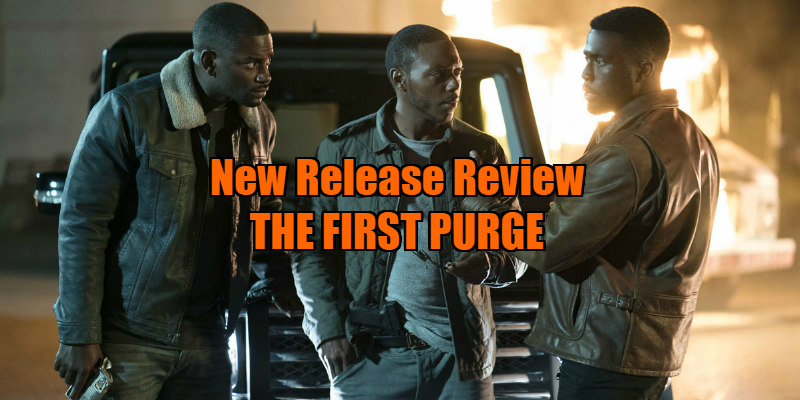 The First Purge, which takes us back to the origins of 'Purge Night', is the very definition of a pointless prequel, one that gives fans of this franchise (does this awful series really have fans?) nothing they haven't seen already in the previous three films. As a means of allowing the civilian population to take out their rage and thus erase crime for the rest of the year (??? ), all crime is made legal in the US for a 12 hour period. The only difference on the first night is that this experiment was confined to New York's Staten Island, but the story plays the same as the last two instalments, with a group of anti-Purgers uncovering a government conspiracy to turn America's plebs against each other. That the movie treats this revelation as a plot twist is truly bizarre, given we've known since the second film that this was the case. What's also odd is that, having uncovered the conspiracy, it seems none of the survivors of the initial Purge Night felt like alerting anyone to the government's actions. Though the first three movies were products of the Obama era (yes, America wasn't a utopia back then either), series creator and screenwriter James DeMonaco now uses his franchise's premise to take a pop at the Trump regime. Early on a news report mentions that the ruling political party behind Purge Night, the Founding Fathers of America, receive funding from the National Rifle Association. It seems odd that DeMonaco wouldn't be a fan of the NRA, as the series he has fashioned pushes that association's mantra that a well-armed citizenry is required to protect itself from government forces. 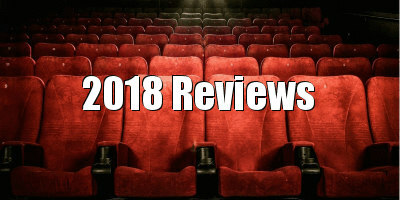 Every movie since the first sequel has featured a 'good guy with a gun' who comes to the aid of some well-meaning peaceniks, and The First Purge continues this trope in particularly problematic fashion, with a ghetto drug kingpin (Y'Lan Noel) coming to the aid of an anti-purge activist (Lex Scott Davis) with his arsenal of weaponry to protect the neighbourhood his drugs have ravaged. Davis's Nya initially threatens to be a rare inspirational black female lead, only to be pushed aside by the gunsplaining antics of Dmitri, whose crimes against his own community are glossed over in a way I can't imagine they would be if this movie had been penned by an African-American writer. 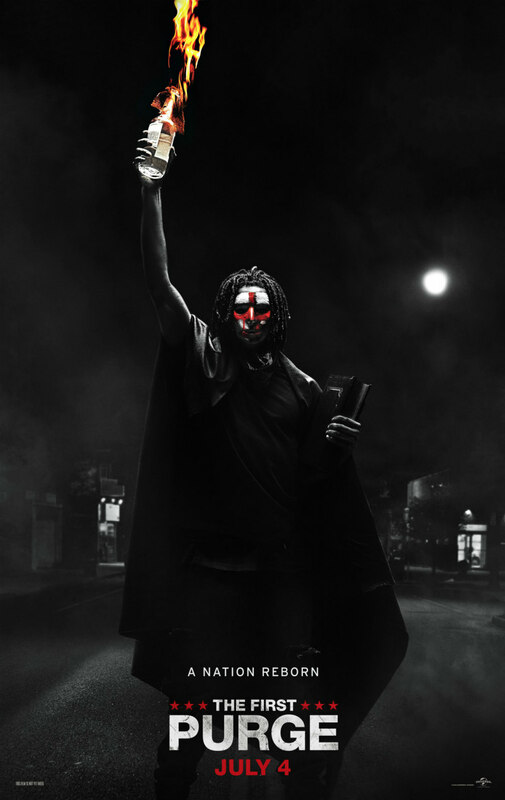 The most troublesome aspect of The First Purge is how it cheaply draws on the imagery of recent hate crimes - white supremacists shooting up black churches; cops dishing out beatings; Charlottesville style tiki torch carrying mobs - only to then reveal that the villains aren't really neo-Nazis, but mercenaries paid to cause trouble and make Purge Night a success (it's even implied that Russia is behind the experiment). Anyone who watches the news knows that Americans don't need any external help to commit atrocities. Crime is illegal 24/7, 365 days a year in the US, yet every day some gun-toting psycho goes off on their own personal Purge Night. The First Purge wants us to believe that the worst Americans are simply victims of manipulation by higher forces; that black, white and brown would all get along if 'the Russians' and other authoritarian boogeymen would just leave them be. For a series that uses American imagery in a negative light in so much of its marketing, it's a surprisingly insular work of right wing flag-waving rhetoric. 'Murica indeed! The Purge is in UK/ROI cinemas July 4th.